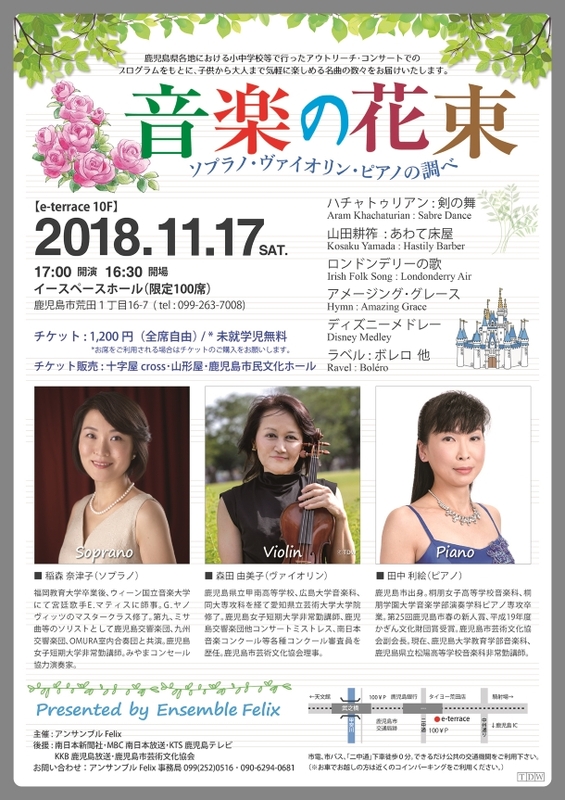 稲森奈津子・森田由美子・田中利絵「音楽の花束」~ソプラノ・ヴァイオリン・ピアノの調べ～ by Morita Music Space. Copyright © 2019 Morita Music Space.. Designed by NET-TEC, coded by Artikelverzeichnis and suported by Wordpress Themes.